Grinduro just happened, what an event it was! 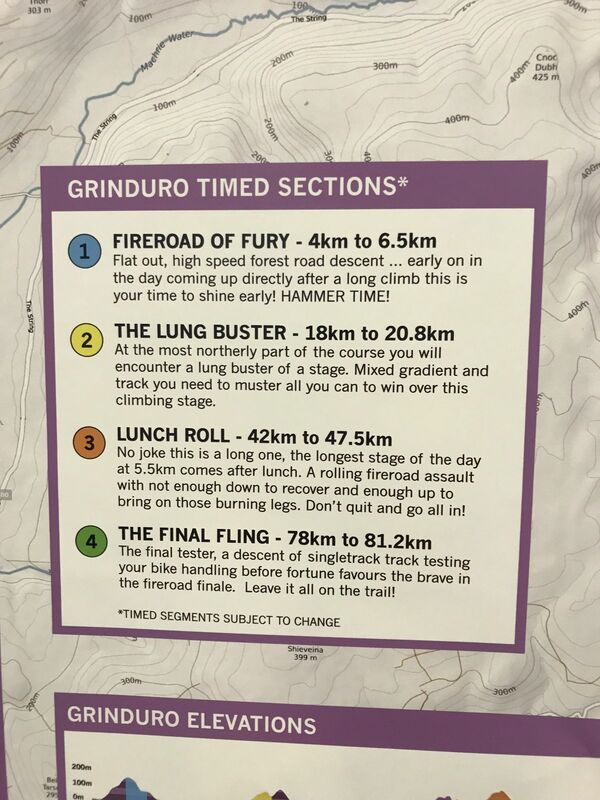 Grinduro is a long gravel ride/race of approx. 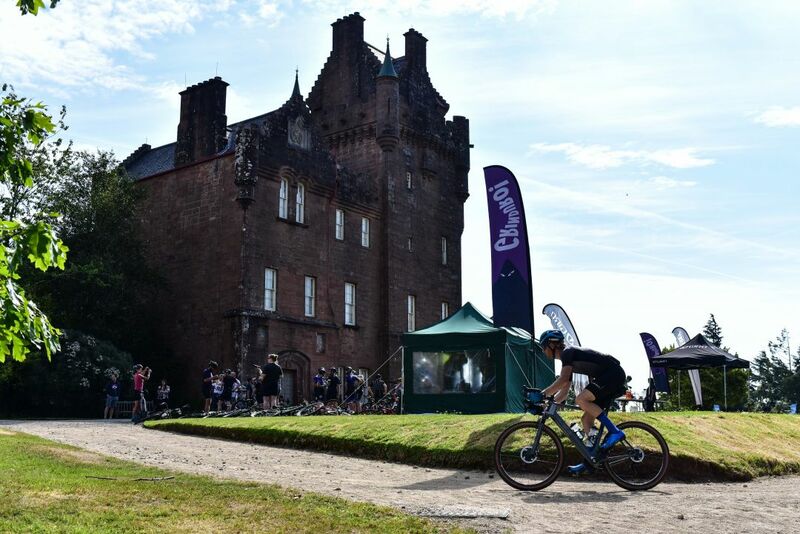 This Scottish event was 54miles with 4 timed sections along the route. Elevation over the day was 5300ft so there was no respite plus the heat added to the challenge. 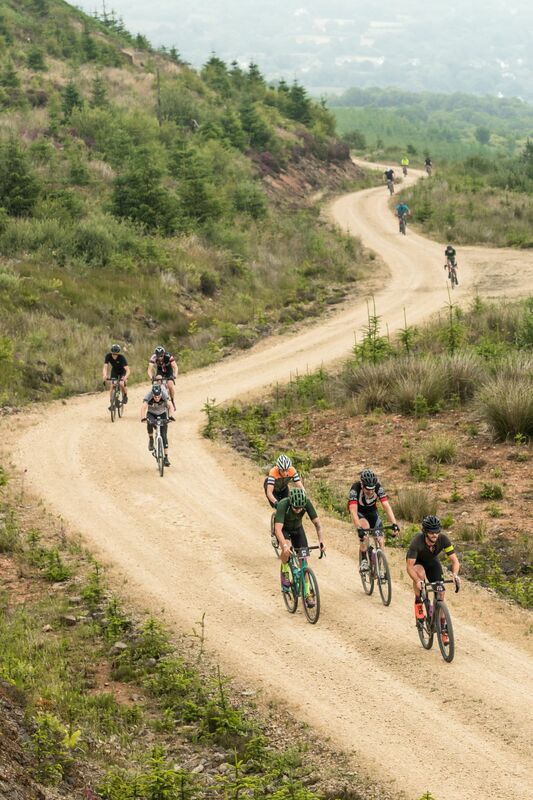 After an extensive campaign promoting Grinduro to the still-growing British gravel community, entries were well up on last year and we were looking forward to 250+ riders all maxin’ and relaxin’ in the race village. Myself, Sandrine, Ben and Gaby set off on the Wednesday before Grinduro with the aim to complete the 7.5hr drive north to Ardrossan, Scotland, and catch the ferry over to the Isle of Arran. Timing was tight as ferry trips are limited over to this little nugget of Scotland, fortunately, the weather was amazing so the trip passed by beautifully. As you head toward Arran it’s like approaching Jurassic World; clouds envelope the mountainous north, hiding the highest point on the island (Goat Fell) and thick, dense woodland covers the south. Those with an active imagination would expect sea monsters as you get closer but luckily, we were fine and arrived in one piece. Thursday was set up day and to decorate the Arran High School which was the hub and home for Grinduro. 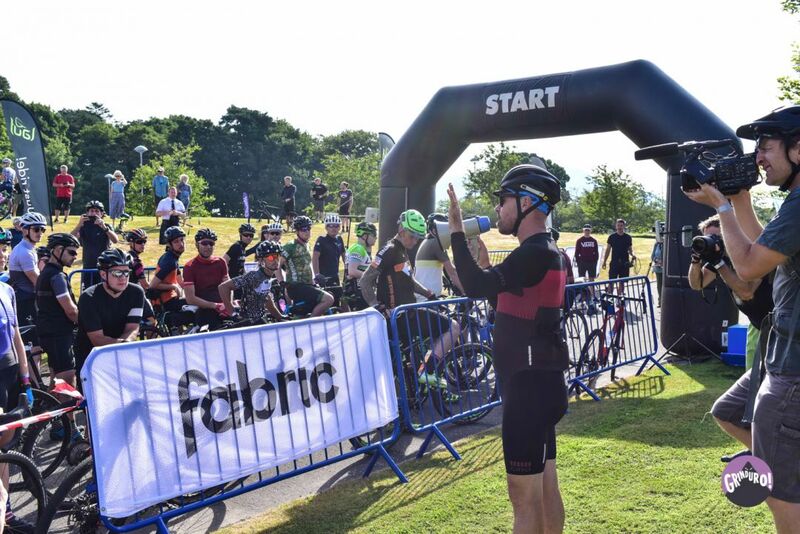 The Fabric booth was assembled, and the outside areas were decorated with Grinduro, Fabric, Sram, Lauf, The Bicycle Academy, Chimpanzee and Giro paraphernalia. 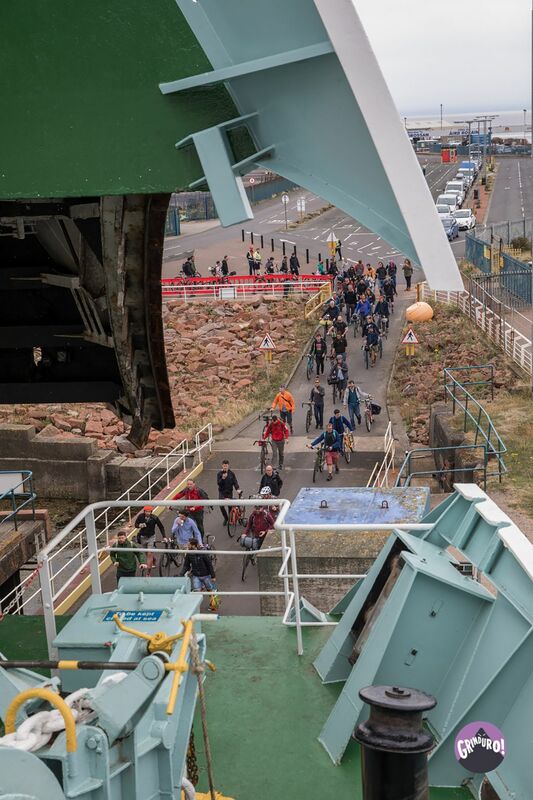 Riders catch the ferry on foot and bikes/ tents etc are secured on the ferry for the trip over. All riders are collected by bus on the other side and dropped off at the school whereby they are greeted by a Piper. Only after registering were they free to collect their bikes, tents and bags from the camping area. 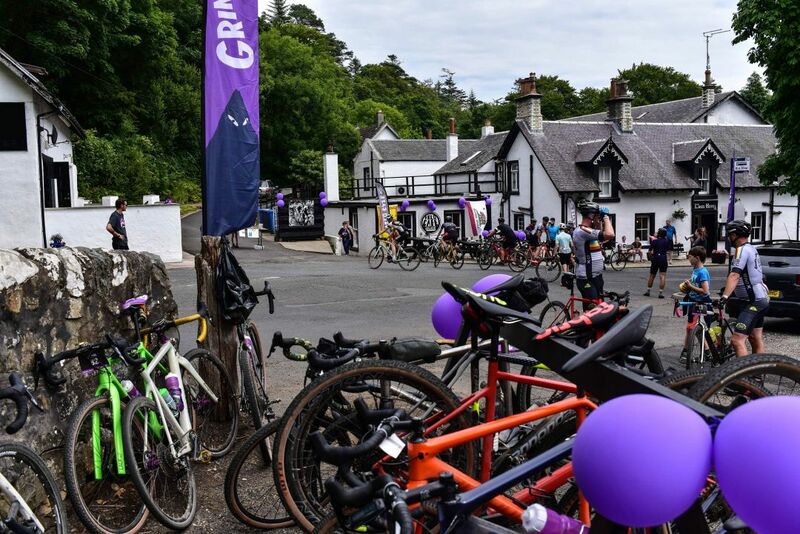 The weather was particularly amazing so many took the time to ride around the island or practice the course beforehand, some even topped up the beer levels ready for the evening meal and chilled acoustic guitar sessions that took place. Riders were treated to free breakfast as part of the days meals vouchers included with race entry. Podium catering was on hand to provide weary folk with porridge, cereals and juice. If you were patient, you could stand in the queue for blueberry pancakes which were thick, sweet and delicious. Coffee was on hand thanks to Ride Bikmo and that too was incredible. Riders attended a briefing at 8am with the aim to fire riders off in groups of 10-20 at the start around 9am. 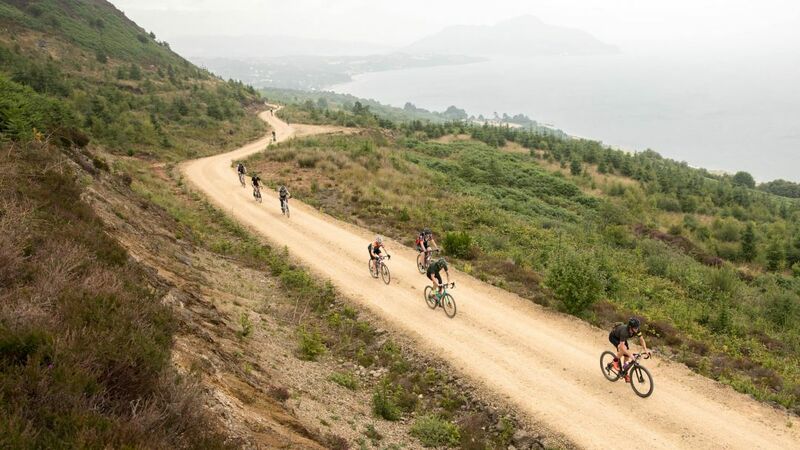 Remember, it’s only the stages that are timed so you were free to ride around the island route at your own leisure. Only 20 mins after the start at the high school, this stage was an all-out wake up call. Speeds of up to 40mph were seen down here; lots of tight bends, chunky gravel and slower riders meant that you had to be steady on the brakes and take time setting up for corners unless you’re Tydeman Newman! A little false flat before the last descent to the finishing beam ensured you were suitably worn out for the long drag to the first feed station. 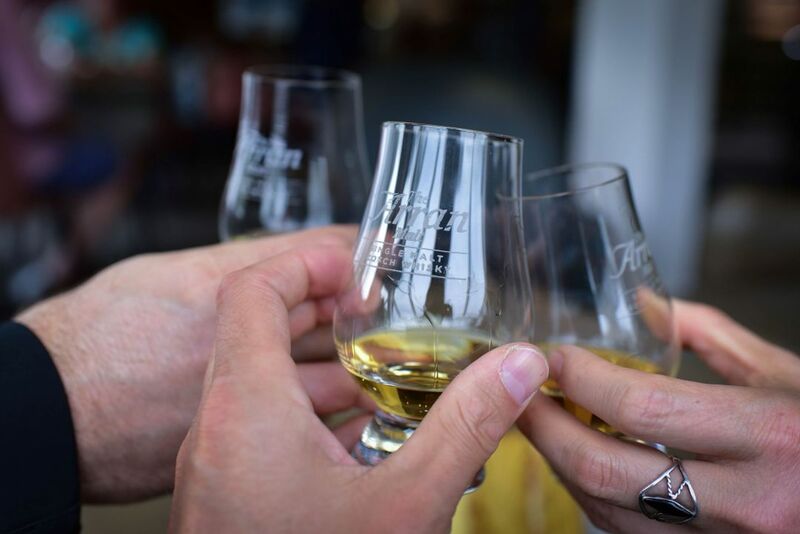 Arran Gin, yes GIN, FREE GIN!?! Greed took over everyone here, and it didn’t quite sit well for…. Ouch, then more ouch. We were given around 5 miles to suitably digest our Gin, ice cream and flapjack feast then we turned off the road and were met with the second stage. This was a near 2-mile stage which was around an 8% gradient all the way with several steep sections of 18 to 20% which were slippery with water and mud from a few stream crossings. It was hard enough climbing these at those inclines but the mud and bodies lying everywhere made it even harder. Each step required an effort that took the next flattish section to recover, only to hit another sending you into total oxygen debt. A tough stage but technically difficult and kept your brain ticking over. 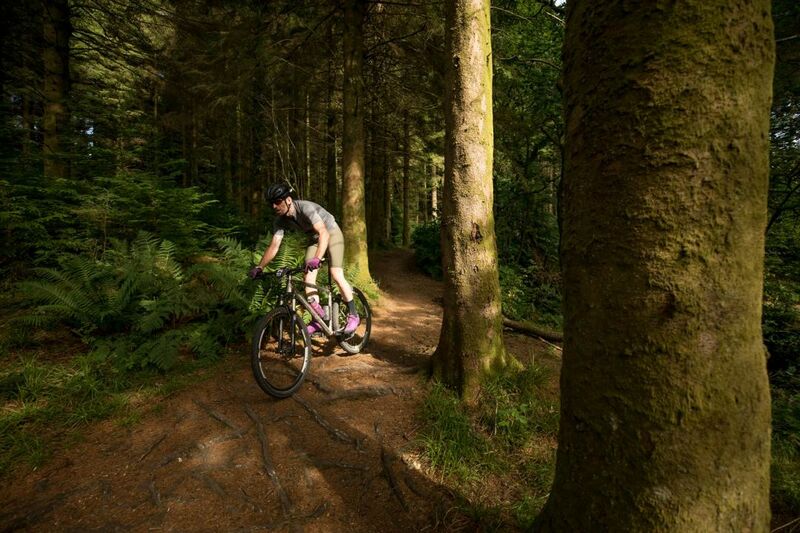 An incredible section of single-track, steep descents, waterfalls and views. One of my favourite moments which I enjoyed so much, I forgot to take pics. We took on this stage straight after lunch. It was aptly named as again you hit this suitably stuffed with food. This was an absolute beast, the longest stage at nearly 3.5miles and was a long fire road drag from top to bottom. The BBC even made camp at the top to capture the weary as they crossed the line. Back by popular demand, the Velo Café was moved to the final feed stop and what a treat it is. 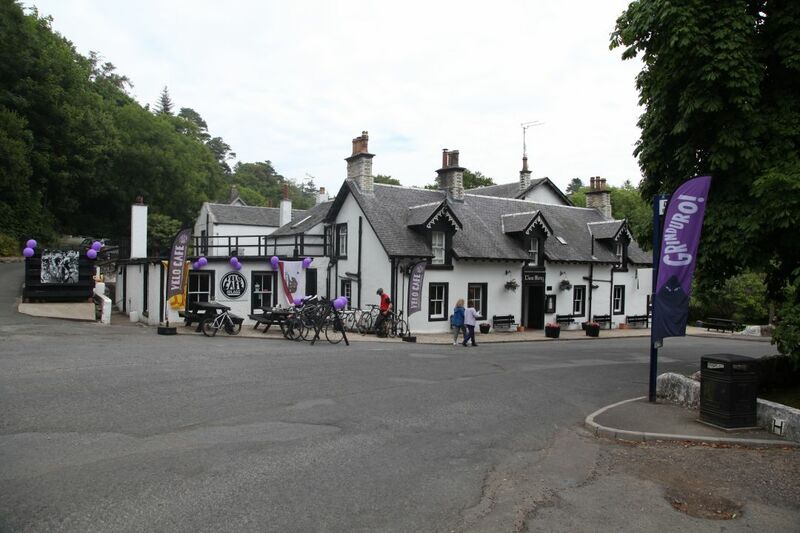 Situated at the south of the Island in Lagg, this little Café and B&B is a mecca for cycling and cyclists. Bike racks sit outside ready to look after your bikes, and when you go inside, the café is ready to look after you. It is decorated everywhere with cycling memorabilia (a particular highlight of mine is the Merkx corner), and of course, the coffee is incredible too as are the various cake options with all food preferences catered for. Definitely worth a visit if you’re headed there. I know I will be next month. After quite a lengthy, heat and horse fly infested transition from the Velo Café, we were in for the final treat, a wooded dh section which led almost back to the school. 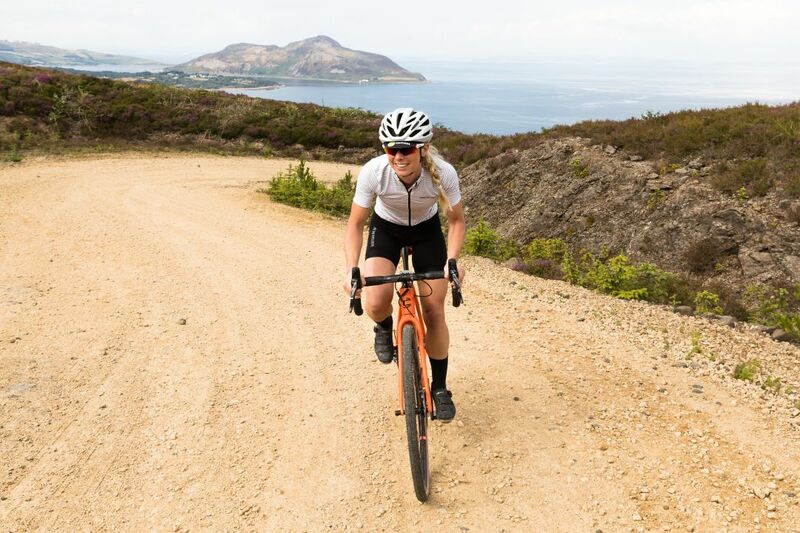 But….. before the DH, you had the small matter of a bumpy flat after the stage start followed by a fireroad climb before you got to the fun. 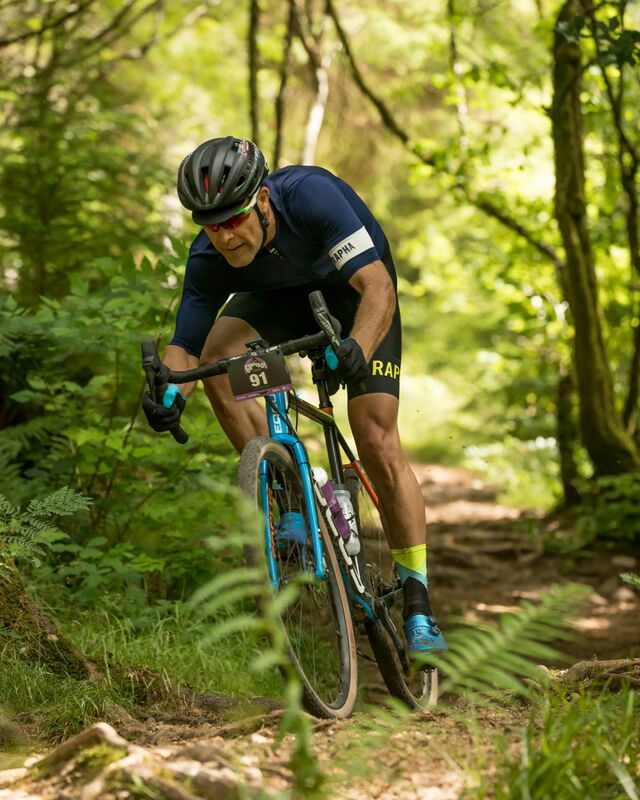 After lunch I had been riding around with our pro rider and eventual winner, Chris Metcalfe, I quickly realised his cruising speed in the transitions is/was above my threshold effort, so I was a pretty sorry state by the time I got to Stage 4. So much so that I sucked badly at this and the bumpy flat took it out of me more. My arms and core could not support me, and my legs told me to “do one” on the long fireroad climb, however, the moment it pointed down with a gift of actual brown dirt (damp, grippy dust) I started to smile and let ‘er rip through the dirt turns, hopping roots and railing natural berms. I won’t lie, the first part wasn’t fun, but the last part certainly was. Not even 2 miles from the end of stage 4 you arrive back at the school and say out loud “wow, what a ride”! It’s at this point you fumble for the beer token (included with the entry) and search for that ice-cold loveliness amongst the tents. Big thumbs up to WTB who also had a cold beer on hand and to Tom Hill from Grit.CX who also bought me a beer. I felt great after those and then hung over by 10pm. 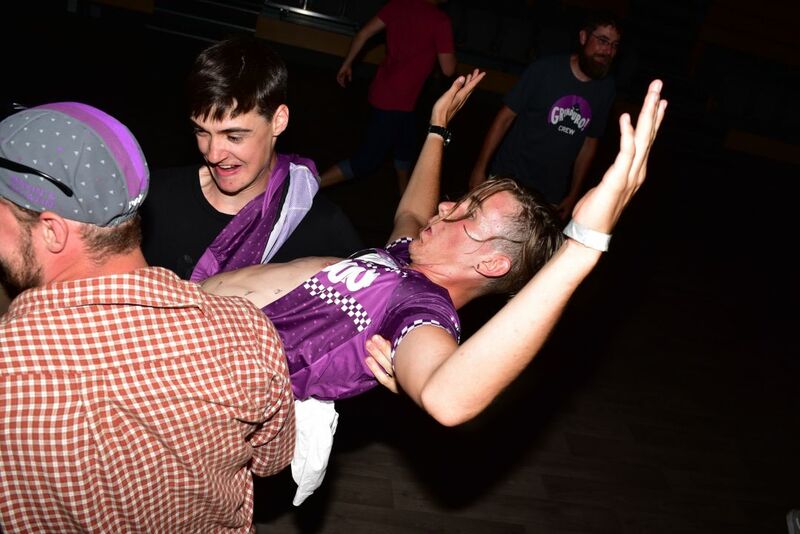 Typically for the British, the evening party started off slow as riders regale with tales from the day, but as the night wore on, more people turned into party animals. There was live music from a Glasgow indie band called The Rebellions followed by a local DJ whose wife raced earlier that day! Just as folk were about to be kicked out, the party kicked up a notch, and things got loose….. 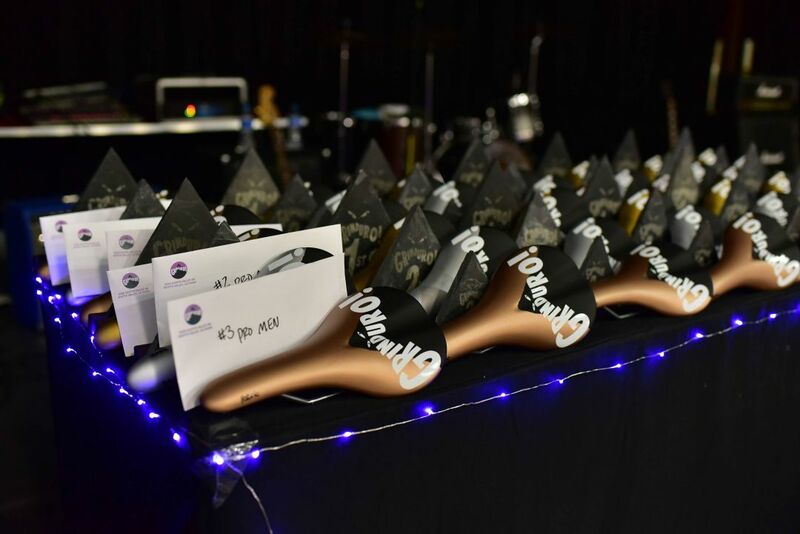 So, this leads to one question – are you entering next year?